Support for the Society may come in many ways. Whilst the Society relies in the majority on support from its members and major sponsors, it continues to appeal to any individual, organisation or group that feels that its worth doing what we are doing to lend a hand or two in any way possible. Some member resorts have included a $3-$5 discretionary surcharge to their guest’s accounts as a way of funding their contributions. The member resort advertises and encourages their guests to participate and assist in the work of MES through this small individual contribution. In turn they pass the funds through to the Society on a regular basis. Environmental Support Donation in designated collection boxes. 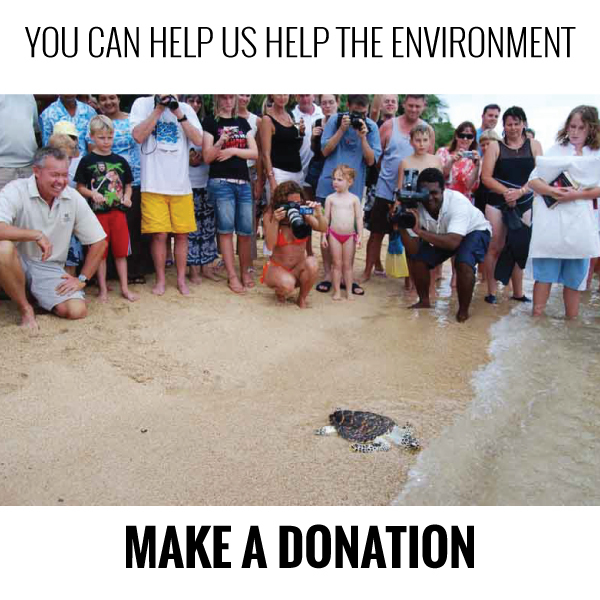 There are also Environment Collection Boxes located at certain resorts and member locations which visitors may choose to donate the ‘ones that jingle’, but we would be delighted to receive in good faith the ones that fold!